MicrosoftAzure is a user friendly platform for machine learning, a powerful tool that allows for the demonstration of the whole process of data science, including data selection, visualization, data cleaning, modeling and prediction. 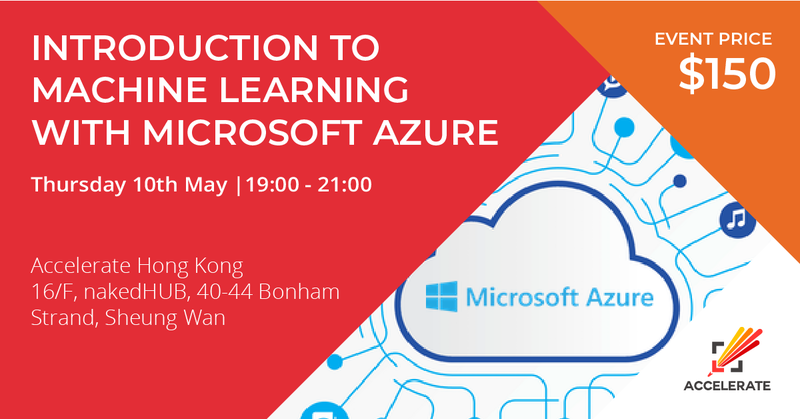 It is one of today’s most accessible ways to enter into the realm of machine learning, a skill set that is in very high demand in Hong Kong and many other major cities in the world. In this workshop, you will go through 3 “Labs” under the guidance of our machine learning instructors. You will run an experiment called Automobile price prediction where you will start with data selection, data cleaning, visualization, feature engineering, modeling and prediction/deployment. You'll also learn exploratory data analysis (EDA) to slice and dice through your data to make sense of it. We will demonstrate the whole data science process in a user friendly platform and make it understandable.